Everyone Can Play The Piano. It's Fun, Relaxing, And Easy To Do! Order the DVD Kit or Instant Streaming Access! Get instant streaming access to the DVD kit with 8 Lessons and study materials for only $9.95!! Sonny's Breathe, Relax, Flow & Enjoy Yourself PianoYoga Method! You won't believe how EASY, FUN & RELAXING it is to play piano using this approach! Combines Sonny's unique play piano by ear and piano improvisation techniques with elements of the piano chord method & Sonny's PianoYoga… breathing, relaxation, and stretching techniques & exercises SPECIFICALLY DESIGNED TO ENHANCE YOUR PIANO PLAYING ABILITIES & REDUCE PIANO PERFORMANCE ANXIETY! With little or even NO PIANO SHEET MUSIC you can instantly start playing piano chord patterns, piano blues lines, your own original piano music, new age piano music, show tunes for piano, piano pop songs, piano rock songs and piano jazz standards. For everyone who always wanted to play piano but didn't have the time, or if you thought you didn't have the talent - This is for you. Instead of depending on learning piano music theory before you can play piano this method teaches you to immediately start playing the piano from your feelings and natural musical instincts. This is accomplished by teaching you some basic piano playing concepts and then showing you to see piano playing as a movement oriented activity. This video will teach you how to relax and flow while playing the piano so you can find your own personal piano groove. You will also learn various piano chords and how to read a wonderfully easy new kind of piano sheet music created by Hal Leonard Music Publishers that relies on the piano chord method and simple chords you will learn in the video. The lessons are arranged so it is as if you are taking one on one private piano lessons with Sonny. They cover the same amount of material you would learn over the first two months of studying piano with Sonny. Sonny's Natural Breathe, Relax, Flow and Enjoy Yourself method. "I think the difference is that he teaches you a method that is [so] easy you can start to play real songs right away... I think it's the only way to go, you're up and running before you know it... When you're first learning, you're tense and his breathing helps you relax. We can all benefit from that." " …Rachel G. a Long Island Musician & Orchestra Band Leader said “In addition to teaching me piano, Sonny showed me how to sing by incorporating meditation along with the diaphragmatic breathing techniques. He was the main factor in helping me get established in my own independent musical career. He has such a big heart, and I really feel that he taught me to be myself. He is an inspiration to me." Kelly F., a busy mother of three, has been taking lessons with Sonny for nearly a year and thinks his easy method of learning to play is the perfect solution to her hectic schedule. Sonny encourages his students to improvise and go with the flow, play what they feel, and he believes everybody has it in them to play the piano. "The measure of success on the piano is not about how perfectly you play or how many tricks you know but rather how much happiness, enjoyment and satisfaction you derive from playing, that’s what really counts. Playing the piano is very relaxing, it's a kind of self-therapy. My approach very simply is about helping people become more fulfilled and satisfied human beings through playing the piano. And it works!" 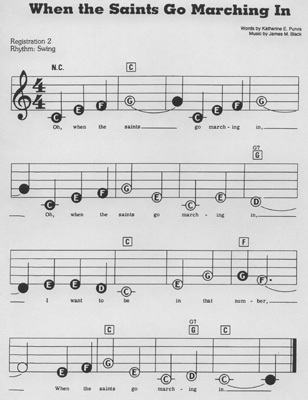 E-Z Play Today Sheet Music! Order The DVD Kit Today! Only $14.95! An example of the kinds of information you'll get in the video kit. It's not how much you know but how you use what you know... is an idea that very much applies to piano playing. You don't need a PhD in music theory to successfully play piano. If you learn some of the basic concepts of piano playing (especially the piano chord method and some piano improvisation techniques) and get in touch with your own inner musical flow you will be playing wonderful piano music in no time. FOR MORE SONNY FREE TIPS AND NEWSLETTER SIGN UP HERE! And now EVERYONE can do it! without even having to learn how to read music! There is a natural river of music and creativity flowing through us all! SONNY'S BREATHE, RELAX and ENJOY WAY. 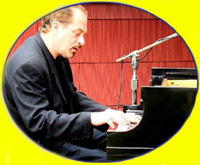 Visit SonnysInstantPiano.com for more videos of Sonny, friends, and students playing great piano music, and for video tours of pianos for sale! Click above to e-mail Sonny! Let Us Build You A Customized TV Video Marketing Web Site to Promote Your Business, Service, Product, Organization, Music, Self. Looking to purchase that special piano?